Responsible for attracting the attention of millions worldwide, the entertainment industry is commonly accused of instigating these injustices. Their most recent mishap has stirred plenty of backlash, most of which is directed towards A-list actress Scarlett Johansson for her role in the upcoming movie, Rub & Tug. Johansson, a straight white woman, was cast to play a transgender man in this film that is “based on the real-life story of Dante ‘Tex’ Gill, who ran a string of massage parlors that were fronts for prostitution dens in the 1970s and ’80s.” People were quick to comment on the irony of this production choice, expressing frustration over the reality of transgender inequality. While Scarlett Johansson has no shortage of onscreen talent, casting her as a transgender man dilutes the potential for diversity that Hollywood so desperately needs. As has been the case throughout history, marginalized groups are silenced in favor of those more privileged. This upcoming movie had the power to give a platform to a transgender actor whose voice is typically silenced by society; in failing to do so, the entertainment industry has missed a pivotal opportunity to alter their one-track narrative. Lysette brings up an interesting point: shouldn’t transgender people, the ones who have truly lived through these experiences, be the ones in charge of telling their own story? After being continuously denied opportunities, discriminated against, and judged for expressing who they truly are, they see no benefits in the end. With socially advantaged people at the forefront of films that depict the everyday struggles of minority groups, they profit off of stories that do not belong to them and further fuel this cycle of oppression. In response to the media’s uproar, Johansson’s representative released a statement on her behalf, saying that any criticism “can be directed to Jeffrey Tambor, Jared Leto, and Felicity Huffman’s reps for comment.” This did anything but ease the already tense situation, as Johansson essentially turned the attention to Tambor, Leto, and Huffman, all of whom have played transgender characters while being cisgender themselves. Rather than utilizing this as an opportunity to shed light on an issue that demands attention, she attempted to distract the public eye away from herself, disregarding any responsibility or independent thought in the process. This is not the first time Johansson has stirred controversy for her acting roles. Last year, her name once again made headlines after it was announced that she would star in Ghost in the Shell. Its director, Rupert Sanders, also appears as the director of Rug & Tug. 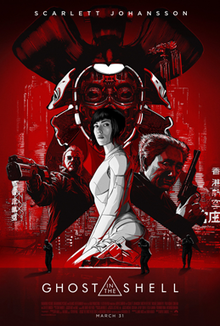 This movie, based on a Japanese comic series, placed Johansson in a role that was originally intended to be played by a Japanese actress. Many voiced their disappointment at the blatant lack of diversity in the movie industry as roles meant for marginalized groups are too often filled by people of privilege. A white-washed film culture leaves little room for true creativity. Whether Scarlett Johansson wants to acknowledge it or not, 2018 holds no room for such prejudice. Society has made undeniable strides towards achieving equal rights, but casting decisions like those made in Rub & Tug remind us that there is still so much more to accomplish. The National Transgender Discrimination Survey revealed that forty-one percent of transgender people have attempted suicide. With 1.4 million adults in the United States identifying as transgender, this community’s need for greater awareness can no longer be ignored. Such a pressing issue is not confined to the entertainment industry, but to all corners of society.